1. the act, process, or fact of moving from a higher to a lower position. Synonyms: falling, sinking; fall, drop. It would appear after the Himalayan Rescue Association I became rather more sloppy with my writing. Or maybe I should say, rather more boring and not at all with the blog in mind. So I’ll piece together as best as I can, from memory and snippets of journal, a story of the descent. 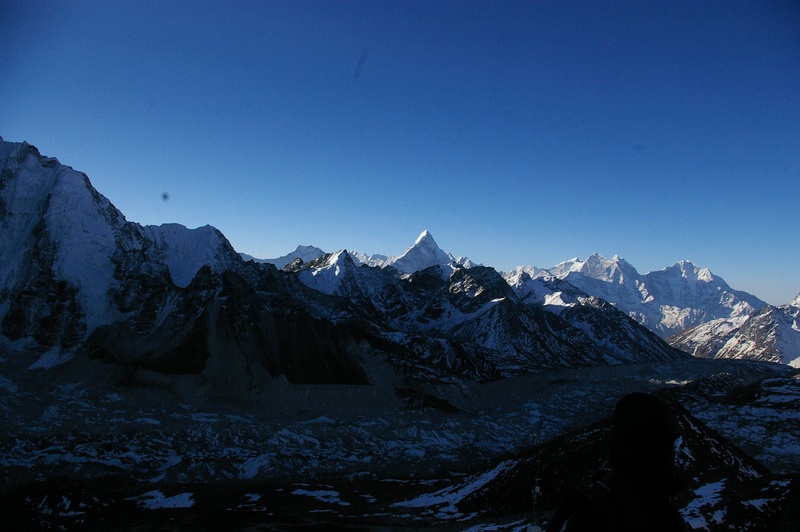 …Yesterday, we finally made it to Lukla. And I really do mean finally. It was great to see the group again on Saturday. 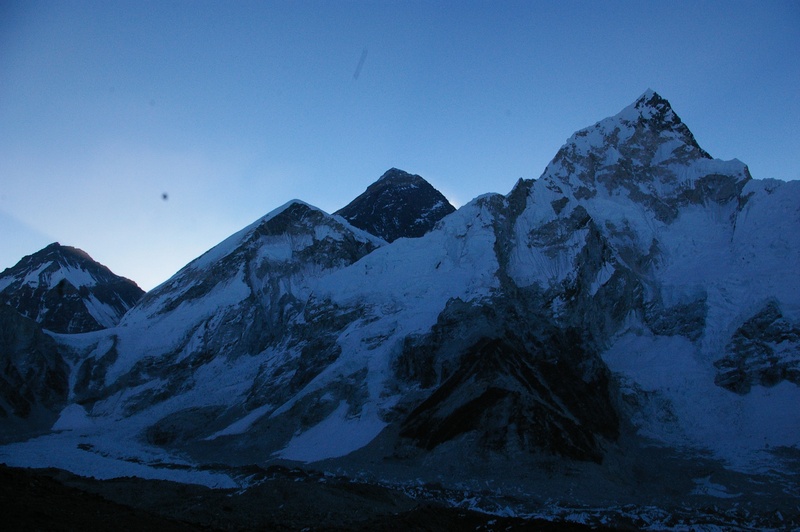 Apparently, 4 of the girls also didn’t make it up and only 3 of the boys made it up to Kala Patar to watch the sun rise over Everest. The walk down was fast and I have to say much harder than I had anticipated. 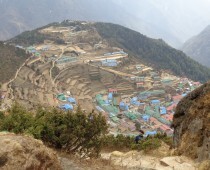 In fact, I was down right grumpy until the last day from Namche to Lukla. That last walk was glorious, I can’t believe how much I missed seeing trees and grass and hearing the sound of water and the chirp of birds. 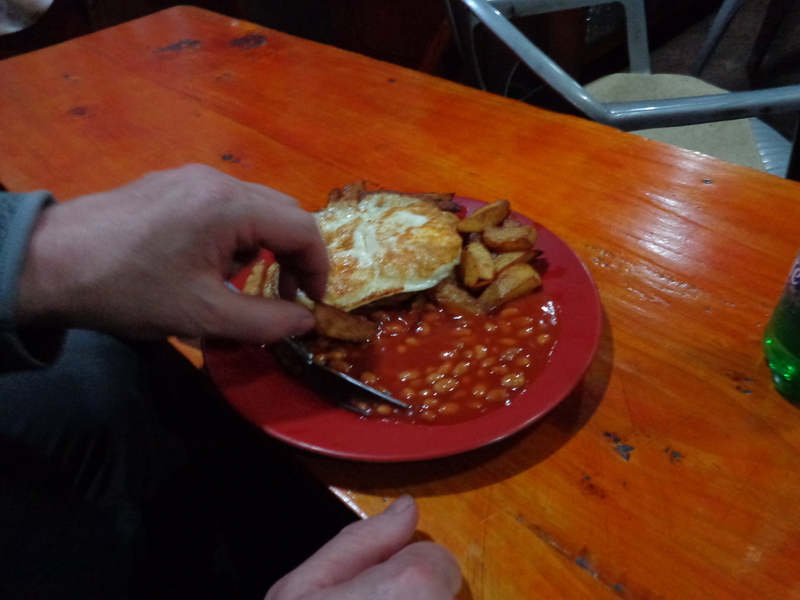 Despite me giving it my all, I was still the last to arrive in Lukla, and today my body is still paying for it. So let me fill in some gaps. 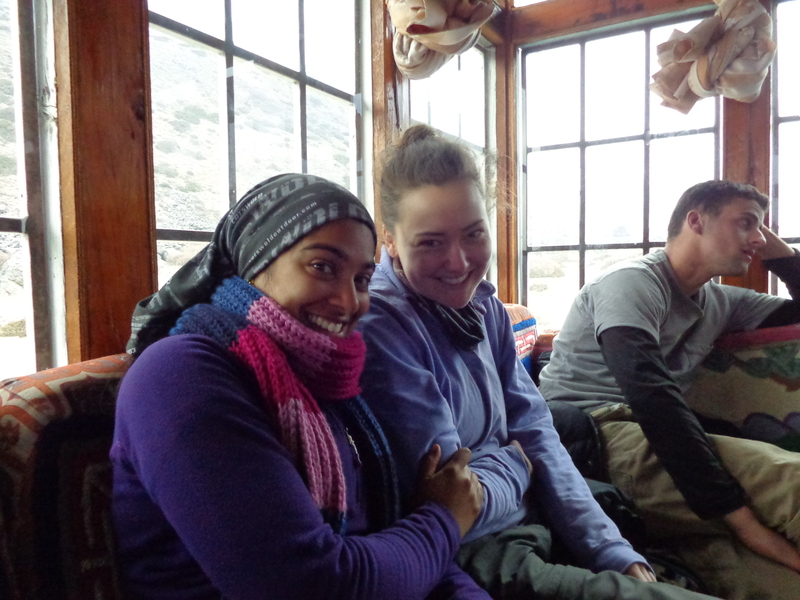 On Saturday 6th April, we were at 4000m, waiting. Waiting for the rest of the group to arrive and tell us all the tales of what we had missed. GP lady and I were in equal measures relieved to be feeling SO MUCH better in ourselves, but obviously gutted to have missed out on the whole reason we had even bothered to go in the first place-Everest Base Camp. This first full ‘meal’ I had eaten in about 4 days. A bowl of soup. Signs of recovery for sure. We befriended a South American dude who was on his 4th Expedition to climb Everest, who had arrived by donkey because of a sprained ankle and who I wondered whether he would even manage to climb if so far he could barely walk. Anyway, I am no expert and this was his 4th attempt, so I’m sure he knew what he was doing! I should probably add he had already summited twice out of his three previous ‘attempts’. Plus I had this funny feeling he was probably famous, his million sponsorship emblazoned gear giving it away. 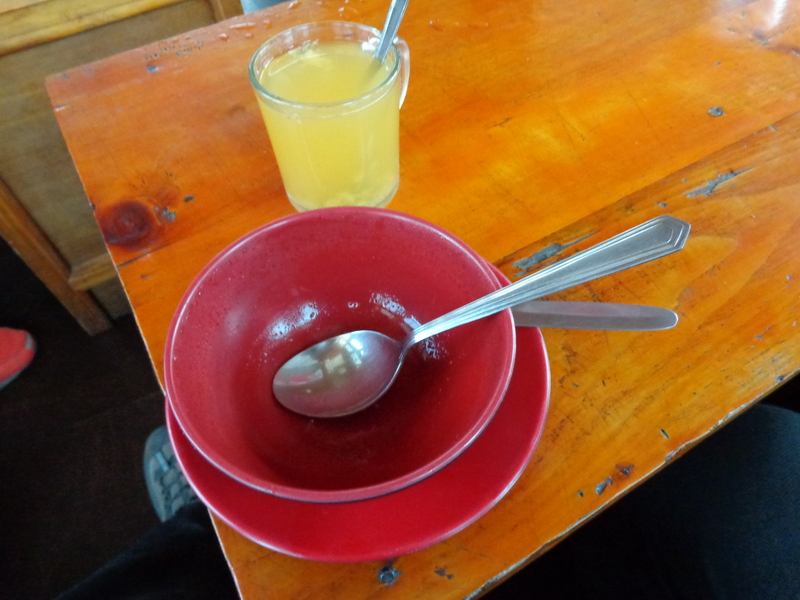 I decided to keep quiet and just finish my soup and ginger-lemon-honey tea, the old group favourite, thanks to Aussie’s recommendations. And just when he was predicting that it would take them another 2 hours to arrive (where my heart sank as patience is a virtue we have already discovered I do not have), GP lady caught sight of them in the window. How can I describe that moment? Like being reunited with the Prodigal Lost Son (though they obviously hadn’t spent all their father’s money and run rampant). Like losing a family and finding them again. Like the return of a long lost love. I picked up the Haribo. The Haribo I had so carefully reminded myself to take for ‘Base Camp Day’ and not used, and ran down the stairs to greet them. Running out, shortening the distance, squinting to make sure my eyes did not deceive me. It was them. 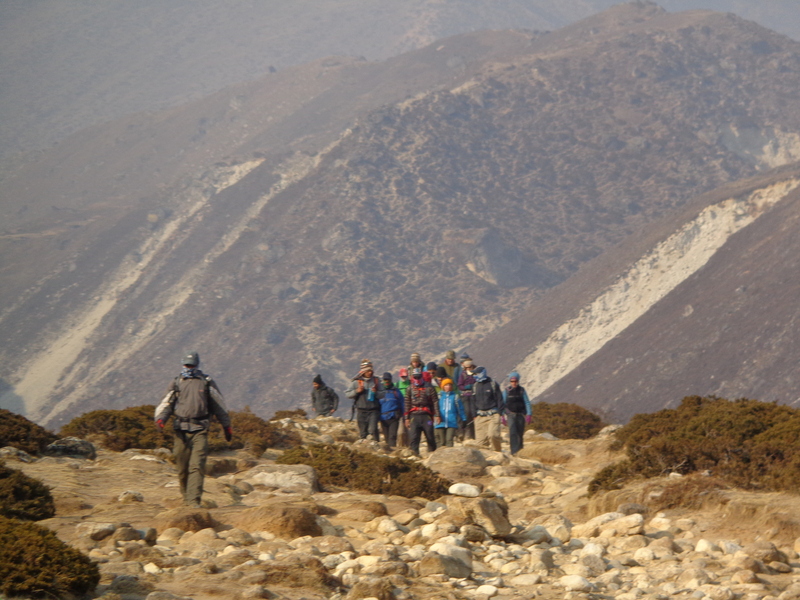 Chitra, the group leader, was a few able steps in front and the first thing he said was, ‘Mum and daughter had to be helicopter rescued off the mountain as the daughter has possible appendicitis’. WHAT?! And in amongst the confusion of the news we had just received, I demanded Hugs for Haribo as my weary ‘family’ finally made it to Orso. The sugar rush was well received (and the hugs too I hope). I was so completely and utterly proud of them for achieving it. And in that moment, I knew I had lived it with them. One by one the stories came out. 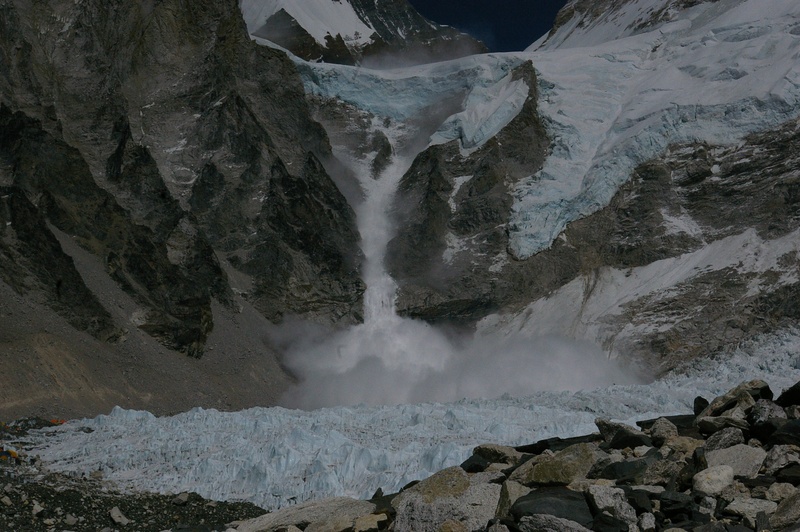 ‘Here’s a picture of the avalanche we saw unravelling before our eyes at EBC’. ‘I was asked to examine her as the medical student, since our two docs had both descended. Did I make the right call?’ ‘It was definitely one of the hardest things I have ever done’. ‘Well, that’s one way to lose a couple of pound!’ ‘I’m dying to eat some proper English food!’ ‘Did you guys get down ok?’ ‘At what point did you start to feel better?’ ‘We missed you’. ‘This is the only place I’ve been in where when you piss in the toilet, it pisses back at you’. Sounds grim-Gorek Shep. Glad I didn’t have to stay there, it sounded very tough. As dinners and ginger-lemon-honey teas were ordered up, it warmed me to hear the constant chatter of 14 people once complete strangers, reunited together as friends. Mum and daughter, now back in Kathmandu preparing for surgery, were never far from our minds. With food in our bellies, stories recounted, possible diagnoses hypothesised, old card games played and order restored in my life, one by one weary eyes blinked goodnight and settled for bed. 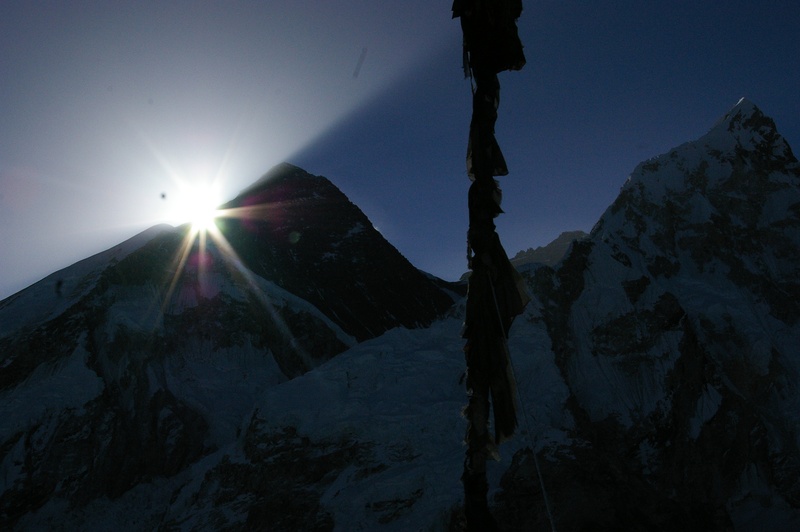 The group had done a fantastic job of descending 1100m, some of whom had woken at 3am to climb to the top of Kala Patar and catch the first rays of sun over the pointed black peak of Everest (including our oldest and by no means least fit member, 60 years young. What a LAD). One more day of walking. One more day together on the mountain. One more day.